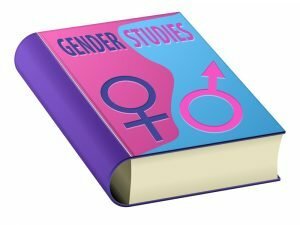 Writing on gender studies is a necessary but challenging task, which requires not only story-telling abilities but also knowledge of history, tolerance and delicacy. This topic gets increasingly essential and broadly discussed, so you have to know how to cover it in your essay or research paper. We bet, you know that your story should have a beginning, a body part and a conclusion, as well as include no grammar or formatting mistakes. Not to bore you with the repeated information, we will jump right to the point and explain how to write a paper on gender studies the way it would impress the most influential feminists of this and previous centuries. Write down 20-30 questions you have in mind about the issue. Think how you would explain the subject matter to your grandparents, to a child, to a member of a primitive society. It helps to take a look at the problem from a different angle. Use a mind-mapping technique. Write Gender Studies in the middle and add trees of associations to it. Then try to connect the associations from different trees. For example, you can associate Gender Studies with feminism, feminism with Simona de Beauvoir, and her with Eiffel Tower. It will be the first tree. In the second one, you draw a connection between Gender Studies and fuss, fuss with fear and then fear with terrorism. Don’t limit yourself in finding associations; it will help you come up with original ideas. Now, how can you connect terrorism, Eiffel Tower and feminism? You can read about which societies were pro and con the construction of the main Paris attraction and at which side were the most prominent French women of that time: did they offer to crash it or did they see a potential in it? Give a try to a “reverse universe.” You just have to imagine the world in which everything goes not the way it exists in the current world. Maybe men are struggling for being empowered? Maybe there is a full equality, and it causes some problems. Think outside the box and your paper will be exceptionally interesting to read. Remember, it is much more often that teachers forgive grammar mistakes, that being bored to death by mediocre thinking and dull narrative. Those are not only Simone de Beauvoir, Mary Wollstonecraft, Amelia Bloomer and Alice Paul who made the equal rights movement matter. Pay attention to the most recent case studies and women taking part in them— it will show that you are interested in this issue and can operate not only with a book on Gender Studies but also make use of the updated information online. For example, elaborate on contributions and positions of such prominent women like Meryl Streep, Beyoncé, Emma Watson etc. Looking for role models don’t forget about male contributors. It doesn’t make your paper less academically valuable if you analyze not only the major events of the XVIII-XIX centuries, but also pay attention to the recent changes. The wise move here is to highlight similarities and differences between historical and current events. Gender Studies are not all about supporting the feminist movements. You can make your point expressing not too obvious or commonly accepted ideas. Doing so, don’t forget about staying professional and backing up every idea with references and real-life cases. In academic writing you can’t be just for or against some issue, event or policy, you should give a coherent reason to your point of view. To make your research paper even better, let yourself employ the ideas from related disciplines: Anthropology, Psychology, Sociology, Political Science, etc. We do hope these rules will come in handy when you work on your paper, so add them to bookmarks and come back when you get such an assignment. Good luck!